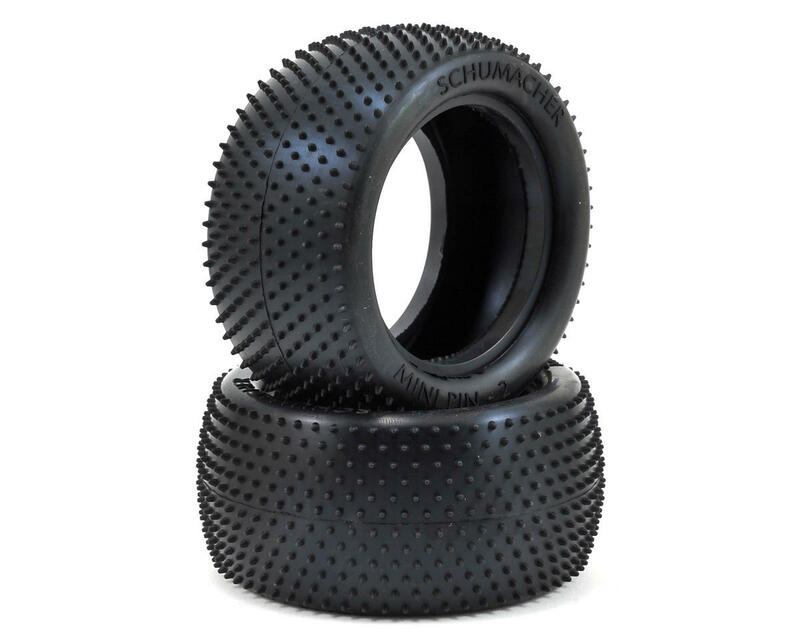 This is a pair of Schumacher Racing "Mini Pin 2" 2.2 1/10 Buggy Rear Tires. The Mini Pin 2 rear tire is designed for use on high grip astro and carpet conditions. The tire has a thinner wall thickness which is aimed at providing more traction and improved bump handling. The pins have been designed to have more of a radius edge as opposed to the square edge on the previous and hugely popular Mini Pin tire. 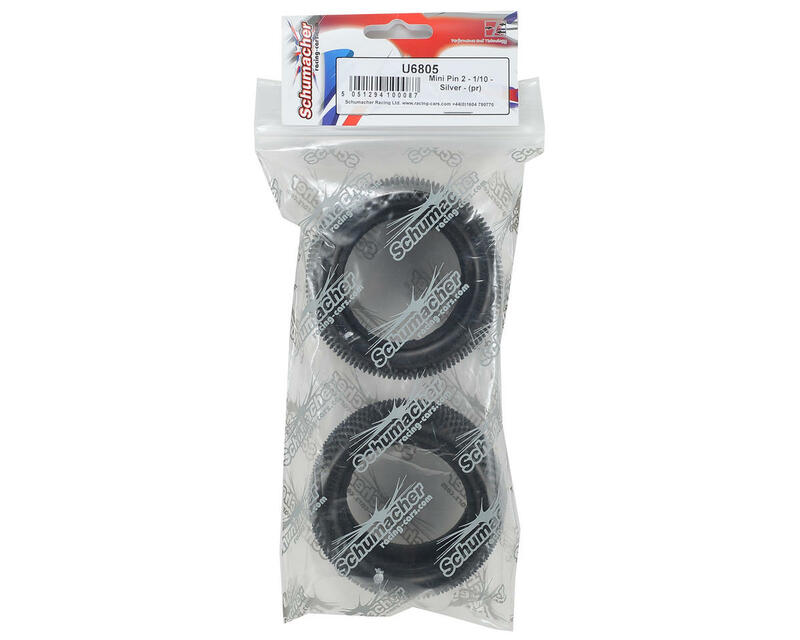 This allows the tire to work perfectly straight from the packet, without the need for bedding in. The Mini Pin 2 is available in Yellow, Silver and hard wearing Blue compound, the Yellow is available pre-glued on the Flexlite 12mm hex wheel.